This one comes with fine spicy flavoured fried -mutton pieces-smiply tempts you.this can be done in 20 mins.try and post your comments. Grind together red chillies,coriander seeds,ginger,garlic and coriander leaves into a fine paste. 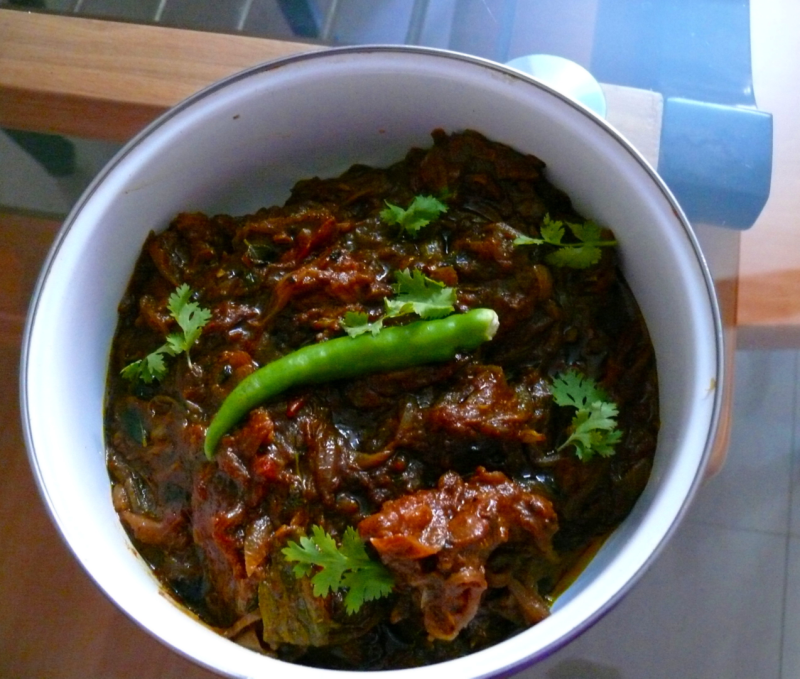 Heat some oil in a pressure pan and saute curry leaves and chopped onions till golden brown. Add the ground masala and saute for a min. When oil begins to separate add mutton pieces and salt.keep on stirring . After 3 mins add the chopped tomatoes and 3 cups water and mix well. Close the pressure pan and pressure cook for 12 mins. After 12 mins,turn off the flame. Hi Bilkis , I'm glad that u enjoyed this Mutton Chilli Fry.Thanks. Christy ur recipe is too good I tried it and my family liked it so much, thanks you. this recipe is seeming really tasty. I will surely try it .THANK U. Pressure cook upto 5 whistle or for atleast 15 mins. If u want this recipe dry, cook the mutton pieces uncovered for 5 mins after pressure-cooking for 15 mins. Thank u so much Tasnim!. Christy ur recipe seems mouthwatering and easy to cook , i will try it out inshallah and i am sure it will turn out good .